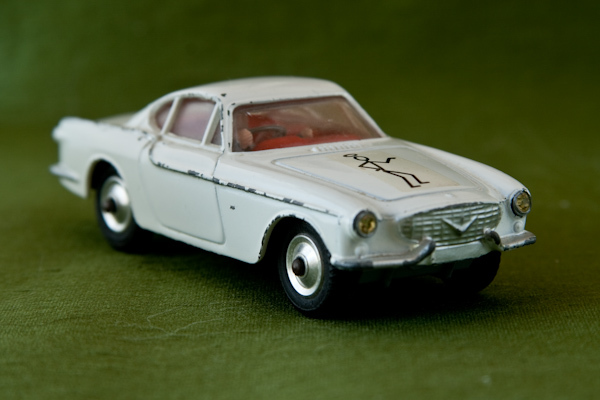 This is the celebrated Corgi The “Saint’s” Car, the Volvo 1800S, No. 258. Now hard to come by, but this is mine from when I was a kid watching Roger Moore on the telly in The Saint, in the 60s. By gum, he had a fabulous car. When I was older, much older, I bought a real one, red. And, no, unfortunately it didn’t have the Saint logo on the bonnet. But it was just as fabulous.